Spicy Veggies and garlic jive so well with gooey, melty cheese and pan-crisped tortillas in these super-easy Spicy Veggie Quesadillas with Roasted Red Pepper Dip on the side! When my daughter was 3, a friend of mine gave her a little soccer trainer. I had just enrolled her in a toddler soccer program and he figured it would help. That socker trainer was basically a soccer ball with an elastic band and a little ankle attachment. And, it quickly became one of my daughter’s favorite things, along with cheese quesadillas. My daughter eventually outgrew her obsession with that little soccer trainer… but, she didn’t outgrow her love for quesadillas or soccer. 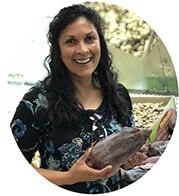 She went on to play soccer through her freshman year of high school and would often come home and whip herself up a quesadilla to snack on post-game. 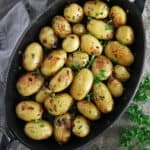 During the summer months when she was home, she would often have a tray of all kinds of stuffed quesadillas and chilled Coca-Cola® ready, when I got home from work and we’d hunker down and catch up with the FIFA World Cup games of the day. My daughter is getting ready to embark on her sophomore year of college now and while she doesn’t play soccer anymore, we still hunker down and catch the FIFA World Cup while noshing on quesadillas. 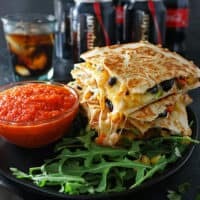 One of our favorite quesadillas are these Spicy Veggie Quesadillas with a side of that Roasted Red Pepper Dip and an ice cold Coca-Cola® (for her) or Coca-Cola® Zero Sugar (for me). If my mom decides to join us, then we make sure we have a chilled Diet Coke® on hand for her! 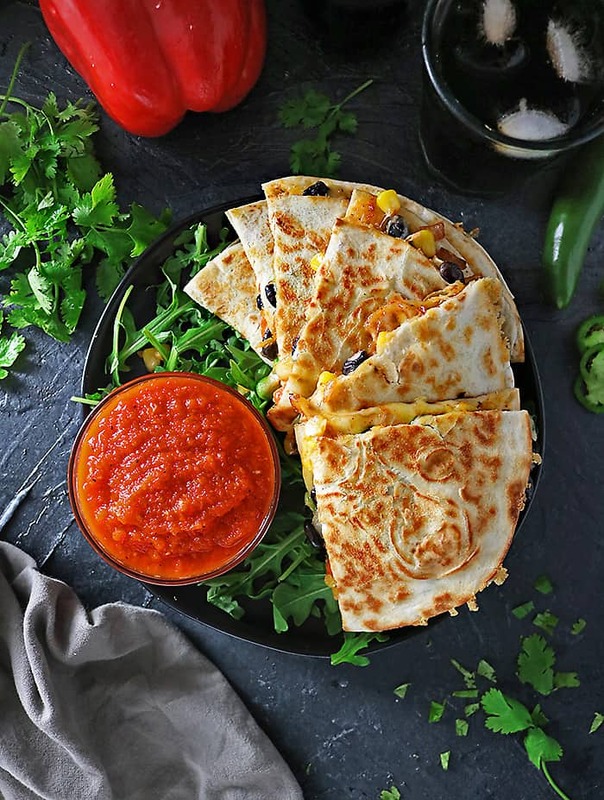 These Spicy Veggie Quesadillas shouldn’t be a recipe because they are so easy to make. My daughter said that the veggie filling is what makes these delicious and she insisted I share that so it’s written down somewhere other than on a piece of paper buried in one of my drawers. 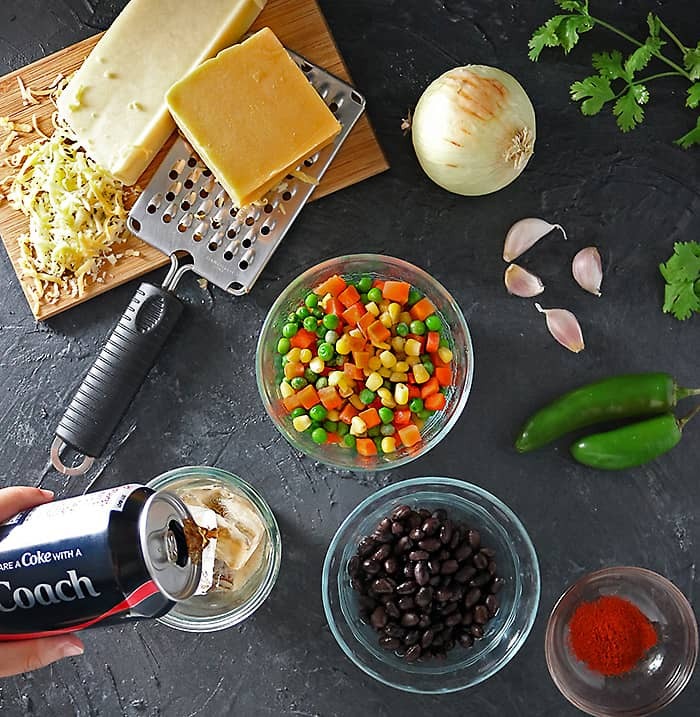 The filling is simply frozen veggies, canned black beans, onion, a whole lotta garlic, smoked paprika and a jalapeno sauteed up together. The spice in them mingles so well with the creamy gooey combo of cheddar and mozzarella and pan-crisped tortillas. I picked up all the ingredients as well as some Coca-Cola® and Coca-Cola® Zero Sugar (how cool is this packaging?!) from my local Target store. The FIFA World Cup starts on June 14th – that’s 6 days from now! Even though I’m the one who is usually all about the food at most other sporting game get togethers, soccer is dear to my heart and I cannot wait! I’d love to know – are you a soccer (the REAL football) fan? 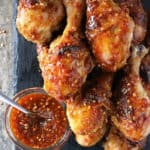 What will you be eating while watching the FIFA World Cup? 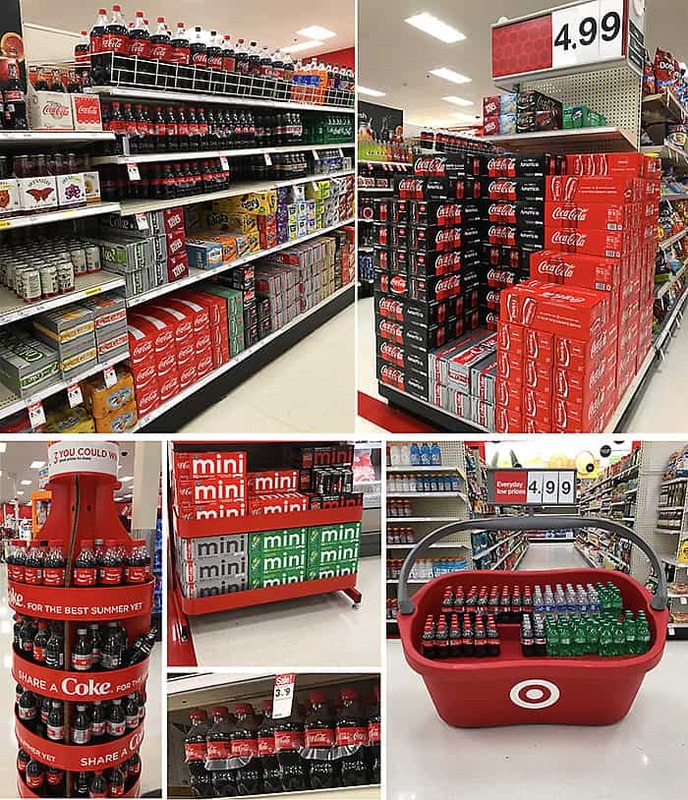 Don’t forget to head to Target and stock on your favorite Coca-Cola® beverages before game day! Add the oil to a pan along with the chopped onion. Saute for about 10 minutes, stirring often. Then add in the garlic, frozen veggies, canned black beans, paprika, jalapeno, and saute about another 5 minutes, stirring ever so often. When time is up, add in salt and pepper according to your taste - I only added in a couple of dashes of each. 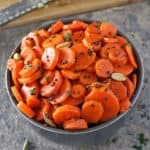 Spoon veggie mix into a bowl and set aside. 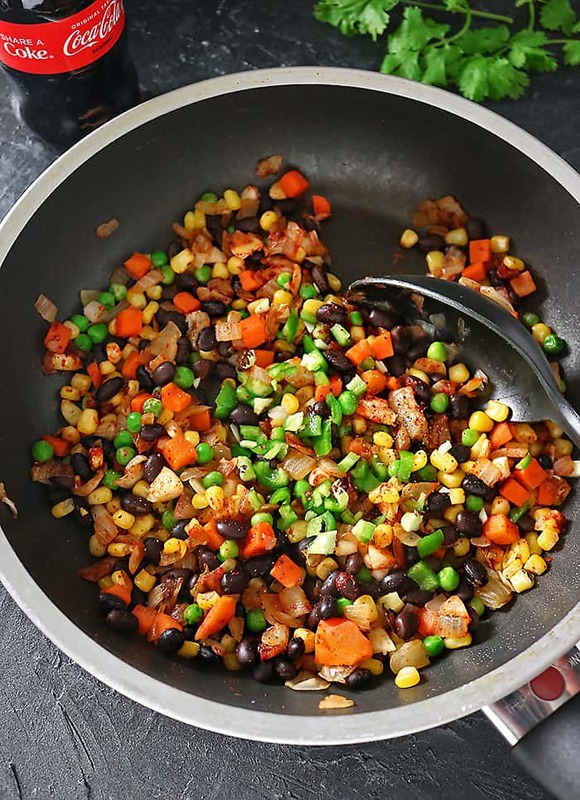 Using the same pan, spray or coat lightly with a little oil and add a tortilla into it. Add a handful of cheese onto tortilla. On top of that, spoon about half the veggie mix. Top that with another handful or two of cheese (so cheese covers the veggies), place another tortilla on top, spray tortilla on top (or coat with oil on a paper towel) and let cook over medium heat for a couple of minutes or until cheese begins to melt (will depend on how high or low your flame/stove is). Carefully flip tortilla. My daughter uses another plate to help her with this part - she uses a spatula and places the quesadilla onto a plate, the places the hot pan upside down over the plate and flips it so no filling goes astray. When top tortilla is crisped as well (another 2-3 minutes), cut quesadilla into four and wrap with foil to keep warm while other quesadilla is being made. 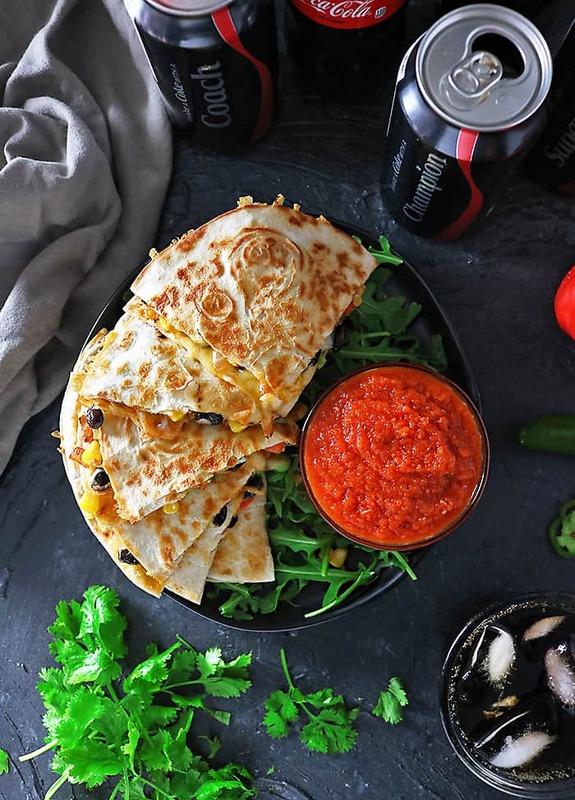 Serve quesadillas with Roasted Red Pepper Dip and your favorite Coca-Cola® beverage! *Nutrition info is only for Spicy Veggie Quesadillas and does not include the dip. Please head to this link for nutritional info on Roasted Red Pepper Dip. I really would love to eat in your kitchen 🙂 Your food is always very colourful and so beautifully presented. Can’t take my eyes off from those quesadillas. What a great quesadilla! I love changing them up every once in awhile! You had me at spicy. This veggie loaded quesadillas is my kind of meal. Looks so delicious! 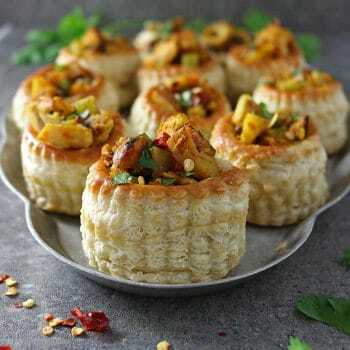 I love the combination of veggies and beans that you used in these. I bet they are spectacular with a big dollop of the roasted red pepper dip! YES YES YES. 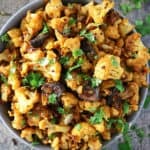 Cheap, Healthy and Delicious! It’s a winner! All those different colors! So vibrant – must mean it’s good for you. 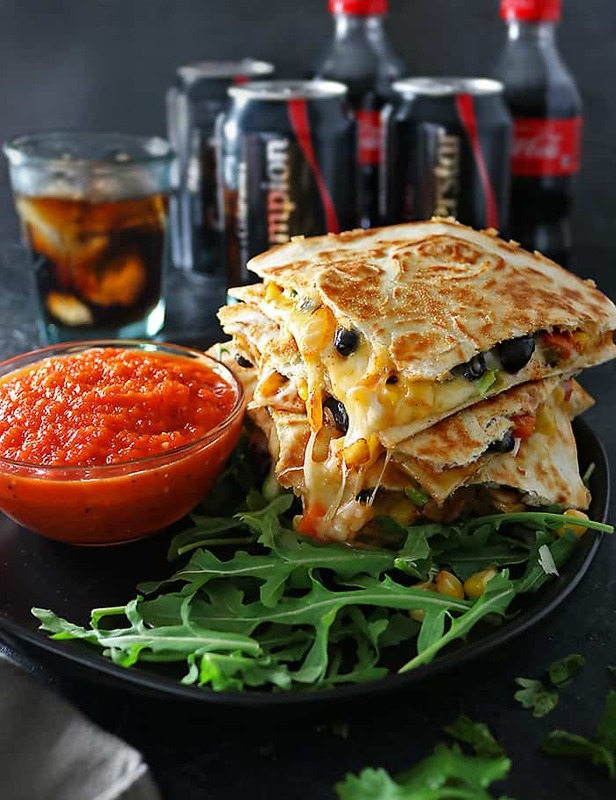 Oh my, this quesadilla looks and sounds so delicious! 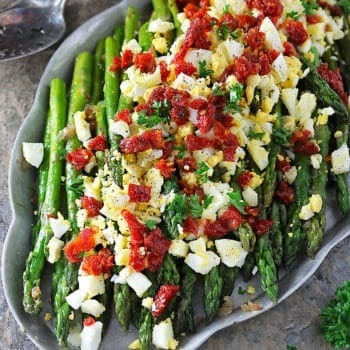 It’s perfect for hosting and even as a quick dinner too! We will be coming hungry! What time is dinner. Love these delicious bites of cheesy goodness. 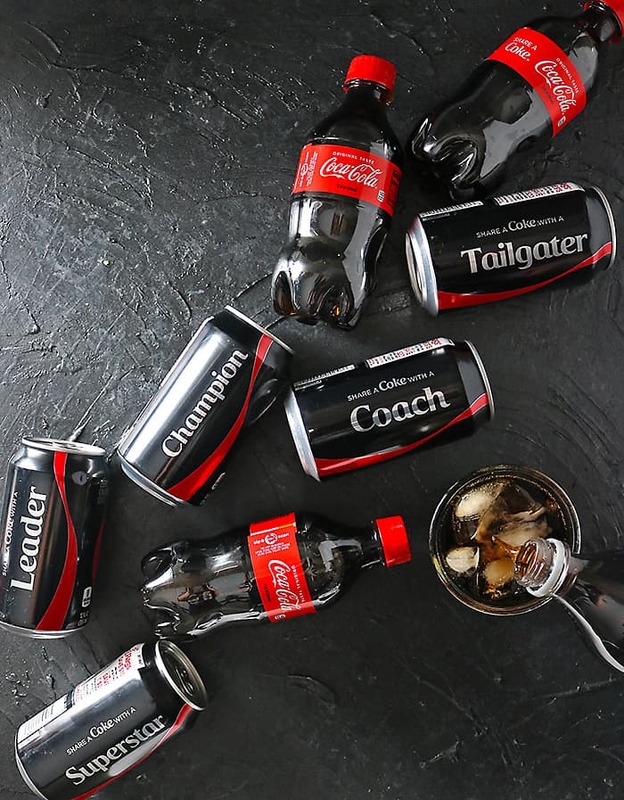 Have not seen these new Coca Cola cans- they are too cute. will have to keep our eye out.